April 23 Born on This Day? Then you were born on the cusp. If you were born on April 23 you are imaginative, impulsive and incredibly gifted. If you were born on this day you are blessed with an enquiring mind and a thirst for knowledge. You are cursed with spreading your energies too thinly over too many projects, commitments and responsibilities. You have a fascinating and intriguing character as you are both intelligent and creative. You are equally adept to using your mind as your hands to create beautiful and often curious creations. The best colour for you to wear is a bright shade of aqua. This colour is a mix of both green and blue and will help soothe and calm you and keep you connected to the earth element. Your Tarot card is that of the Wheel of Fortune which shows that you have arrived at a moment in your life when destiny will take a turn for you. Odd coincidences, chance meetings and twists of fate will seemingly flow towards you. Destiny can sometimes surprise you in unexpected ways. Be open to receiving things that come out of the blue. When you celebrate being born on this day of April 23 ensure you have a very happy birthday and don’t forget to make a wish that really can come true. But having your birthday on 23 April can have its challenges and this is where having a Spell cast specifically for Taurus comes in. By using the precise correspondences, energies and elements relating to this Zodiac sign I can thrice cast a powerful Spell to get amazing results. You can ask me to cast your Spell at anytime and do not need to wait until the Taurus phase. Being born on this day also means you were born on the cusp. Although you were born under Taurus you also have some Aries personality traits. If you born on the cusp you will be aware of the confusion relating to personality traits associated with being born between two distinct Zodiac signs. Being 'Born on the Cusp’ can mean that you feel confused, mystified or perplexed. The timing of your birth can make you unsure where your personality characteristics came from and gives uncertainty about what feelings, emotions and thought patterns you are experiencing. So being born on the cusp can have its challenges and this is where having a Spell cast specifically for those born between Zodiac signs comes in. By using the precise correspondences, energies and elements relating to both Zodiac signs I can thrice cast a powerful Spell to get amazing results. Discover the secret to powerful Magic you can believe in. If you were born on the cusp between two star signs then this Cusp Spell is perfect for you. It is particularly beneficial for increasing your confidence and self esteem, which in turn can lead to career or business success. Take Lorna from NSW, Australia for example.Lorna was born between Leo and Virgo and wanted a career change from her job as an accountant to becoming a jewelry designer. I cast Lorna a cusp Spell and a little while after the Spell casting Lorna had her own lucrative online jewelry business. It is also very powerful if you want to increase your psychic abilities, so that your instincts and intuition can become stronger and more accurate. You will be able to trust your intuition more and go with your instincts in decision making. And making the right decisions and choices in life is a valuable gift. Having a Cusp Spell cast for an increase in sexual attraction, abundant wealth and great success can also mean the difference between just existing or living a full, satisfying and happy life. Cusp Spells that work with the Law of Attraction are known to be very powerful and effective. 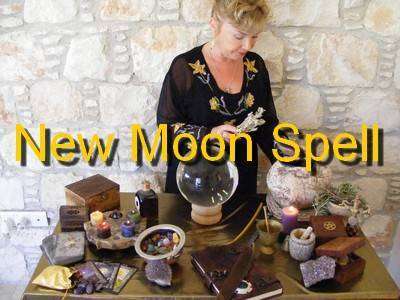 Your personal and individual Cusp Spell will be formulated, personalised and expertly cast by me using the relevant and appropriate ingredients to aid speedy manifestation. Not Once, Not Twice but Thrice Cast! What does "Being born on the Cusp" mean? If you were born on or between these dates you can consider yourself as ‘Born on the Cusp’ and as such a unique personality. Confused, mystified and perplexed. Not sure where your personality characteristics come from, uncertain about what feelings, emotions and thought patterns you are experiencing. Are you feeling you are at a continual crossroads in your life? Do you find yourself feeling trapped by situations, circumstances or people? Are you unsure on what your life purpose is? Do you experience difficult and challenging relationships over and over again? Are you finding it difficult to know which direction to go in? Do you feel you are being held back by difficult circumstances? Are you investing too much time, energy and money into the wrong projects and people? Along with your Cusp Spell, I will also cast for you a Free Spell in the form of a Purifying Cleansing Spell, more commonly known as a Curse Removal Spell. I will cast this free Spell on your behalf to clear any negative energies swiftly and allow the supportive influences and positive elements of your Spell for those born on the cusp to act very quickly and enables you to be open and ready to receive your desired outcome.